Another competitor has been announced that will rival the lights of the Xperia Z, and that would be LG’s Optimus G Pro. Based on hardware specifications alone, the Optimus G Pro is one fantastic phone. Here’s a NTT DoCoMo site if you’re able to read Japanese. However, does it suit your taste in terms of features, design and form factor? We’ll be discussing all these here in our very own dogfight. Both smartphones spot 5″ Full HD displays with very different technologies. The Xperia Z (443 PPI) possesses the latest Mobile Bravia Engine 2 and OptiContrast Panel, both of which are BRAVIA technologies, matched along with sensor on lens technology on a TFT display. The Optimus G (440 PPI) integrates its glass surface with the touch sensor, similar to that on the Samsung Galaxy S3, on a True Full HD IPS display. The Xperia Z weighs 146g at a thickness of only 7.9mm AND comes with a water and dust resistance chasis, whereas the Optimus G Pro weighs 160g with a thickness of 10.9mm. The back-facing camera is the same at 13.1MP, but the Xperia Z includes Sony’s very own Exmor RS sensor (for low light shots) with HDR video recording capabilities. 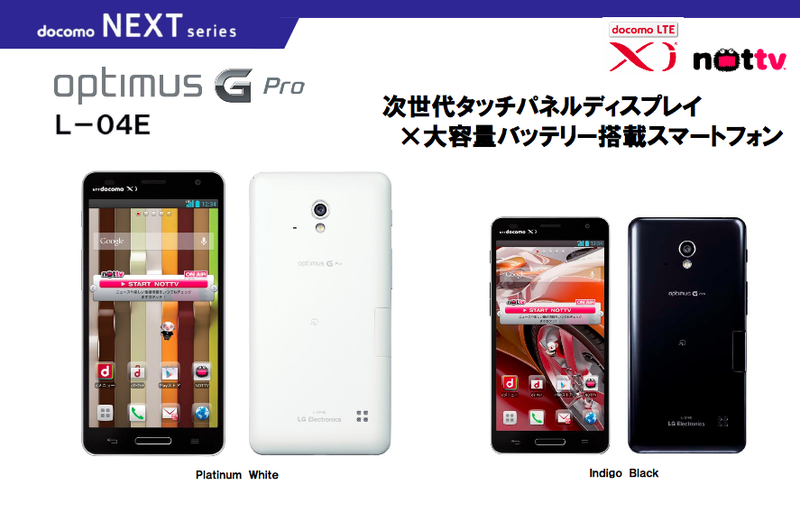 The Optimus G Pro has a 2.4MP front-facing camera, while the Xperia Z spots a 2.2MP Exmor R sensor (for low light shots). 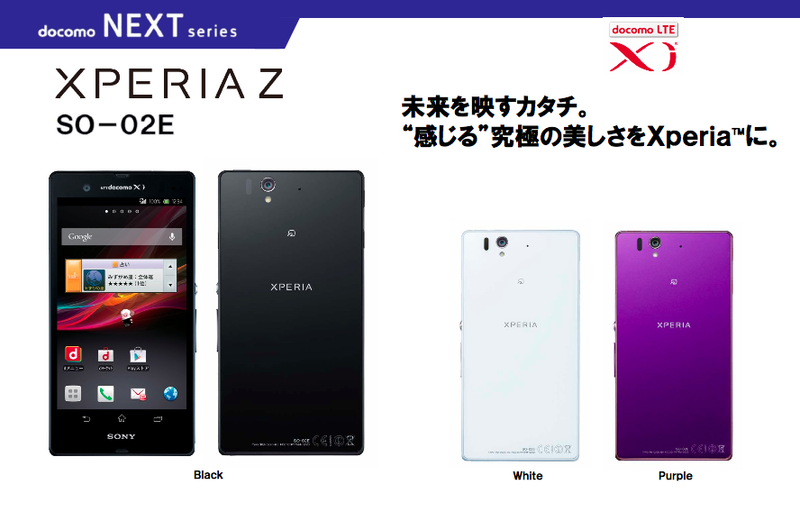 In these aspects, we’ll think that the Xperia Z triumphs. The processing chips are the same, running on the latest Snapdragon S4 Pro with quad-core Krait processors, Adreno 320 graphics and 2GB of RAM. The Xperia Z is clocked at 1.5GHz, while the Optimus G Pro’s speed is overclocked to the max at 1.7GHz. Storage space on board for the Xperia Z is 16GB (expandable to 32GB) and for the Optimus G Pro is 32GB (expandable to 64GB). Powering the Xperia Z is a 2330mAh battery and the Optimus G Pro is a 3000mAh one. In these aspects, we’ll think that the Optimus G Pro triumphs. Other miscellaneous stuffs will be mentioned over here. Both devices are LTE enabled and supports bluetooth 4.0. The Optimus G Pro is able to capture using the front and back facing camera simultaneously, slide apps, include LG’s very own QuickMemo (for recording of notes). The Xperia Z offers a link to Xperia tablets via Xperia Link (includes charging capabilities), small apps, PlayStation store, Music Unlimited, Video Unlimited and WALKMAN music player. Smartphones have evolved once again for the year 2013. Which one of these devices will you choose? We’ll leave you with videos of the Optimus G Pro and the Xperia Z to better understand and compare them both. This entry was posted in DogFights and tagged 1.5ghz, 1.7ghz, 10.9mm, 13.1mp, 146g, 160g, 16gb, 2.2mp, 2.4mp, 2330mah, 2gb ram, 3000mah, 32gb, 440ppi, 443ppi, 4g, 5 inch screen, 7.9mm, adreno 320, bluetooth 4.0, bravia, dogfight, dust resistance, exmor r, exmor rs, full hd, ips, krait, lg, lte, mobile bravia engine 2, music unlimited, opticontrast, optimus g pro, playstation store, quickmemo, S4 pro, slide apps, small apps, snapdragon, sony, tft, video unlimited, walkman, water resistance, xperia link, Xperia Z by knowyourxperia. Bookmark the permalink.